he spread of cancer has been on the rise for many years now, but something new is spreading too: hope. 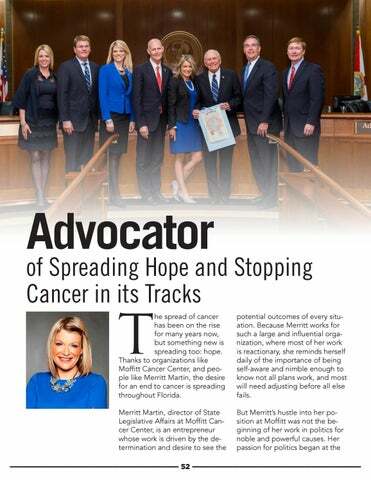 Thanks to organizations like Moffitt Cancer Center, and people like Merritt Martin, the desire for an end to cancer is spreading throughout Florida. potential outcomes of every situation. Because Merritt works for such a large and influential organization, where most of her work is reactionary, she reminds herself daily of the importance of being self-aware and nimble enough to know not all plans work, and most will need adjusting before all else fails.